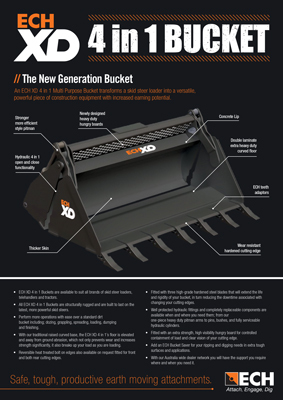 An ECH XD 4 in 1 Multi Purpose Bucket transforms a skid steer loader into a versatile, powerful piece of construction equipment with increased earning potential. 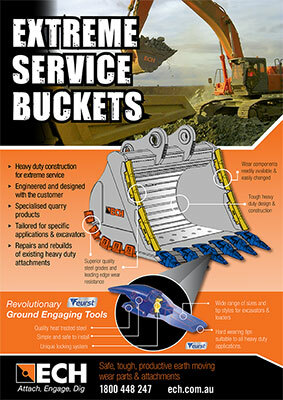 At ECH’s manufacturing facilities we provide a rebuild and repair service for earthmoving attachments and wear parts. ECH are the exclusive Australasian distributor for the innovative Feurst G.E.T range of products. 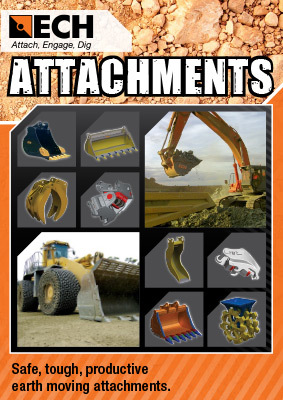 Safe, tough, productive earth moving attachments. 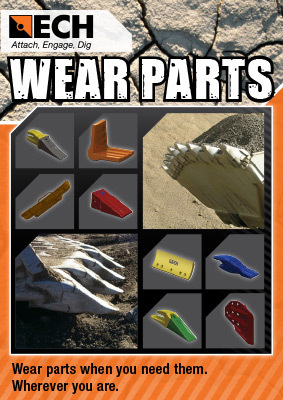 Wear parts when you need them. Wherever you are. 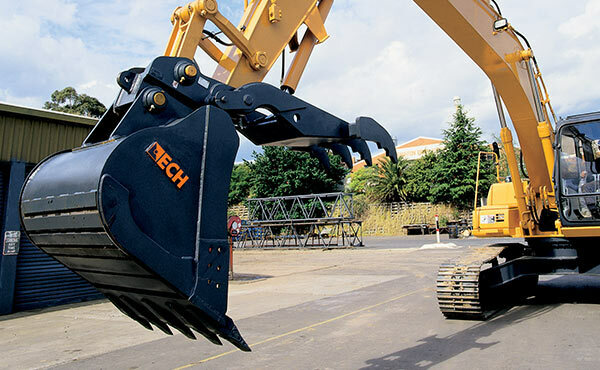 At ECH’s manufacturing facilities we provide a rebuild and repair service for our earthmoving attachments for customers. 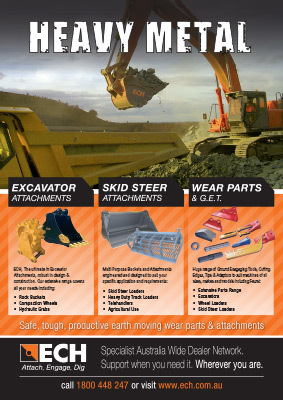 ECH is a manufacturer and supplier of wear parts and attachments to the Construction, Quarrying, Contact Mining, Demolition, Waste and Recycling and Agricultural industries within Australia and to the growing Indian market where ECH also has its own manufacturing and fabrication facilities. 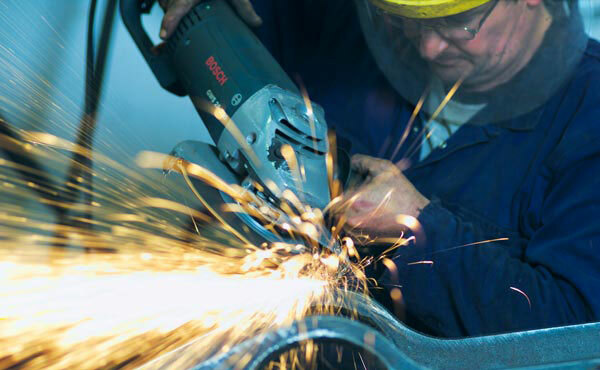 ECH aims to increase the productivity and safety of its customers’ operations with its tough, innovative and cost-effective products, distributed through its head offices and national dealer network. ECH employs dedicated teams both in Melbourne Victoria and in India to reinforce its capability of being an industry leader in the safety, quality and innovation of its products. While customers and suppliers may not deal with every group of our staff, the hard work of each is apparent in the prompt, friendly delivery of quality products to customers.